Because of their strong resemblance, it can be difficult to set a Cornish hen and a chicken apart. However, these two kitchen staples are far from being interchangeable as they each bear unique characteristics. This article draws the line between them. A Cornish hen, also called a Cornish game hen or a rock Cornish hen, is a crossbreed between the Cornish and the white rock chicken breeds. Contrary to what its name implies, a Cornish hen is a broiler chicken that can either be a female or a male. A chicken, on the other hand, is a type of domesticated bird that belongs to the red junglefowl family. Typically raised as livestock, chickens are the most common domestic animal with its population reaching around 19 billion in the year 2011. The difference between a Cornish hen and a chicken may not be easily discernible, but the two possess highly distinct characteristics. A Cornish hen is a crossbreed between the Cornish and the white rock chicken breeds, while a chicken is a species that descended from the red junglefowl family. 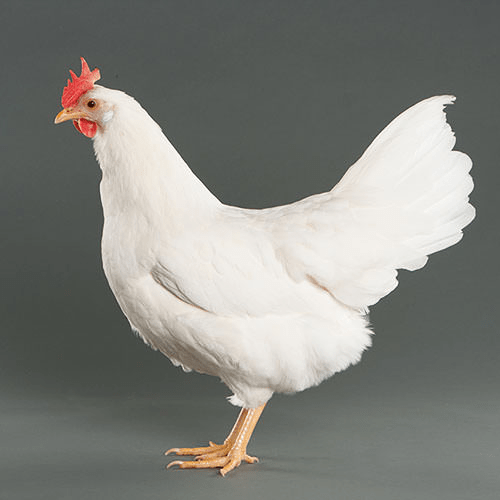 A Cornish hen is a heritage breed distinct for its red, white, or black feathers, while a chicken is available in a wide range of colors and feather patterns mainly because of extensive breeding practices that resulted in more diverse chicken breeds. Cornish hens pertain to a group of chickens that are raised and slaughtered at an early age. They mature in about 4 weeks and are butchered once they become 5 weeks old. Chickens, by contrast, mature in around 8 to 12 weeks and are usually slaughtered within 39 to 42 days, depending on the chicken breed. 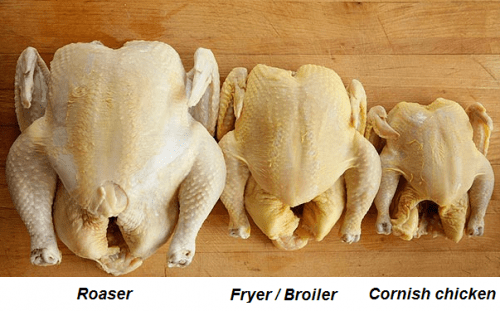 One of the most notable differences between a Cornish hen and a chicken is their size. Since chickens are typically full-grown before being sold in the market, they are heavier than Cornish hens. While Cornish hens weigh around 2 pounds, the weight of domesticated chickens is usually 3 1/2 to 4 pounds. Cornish hens are packaged as a whole, while chickens are marketed in different ways. Other than being packaged in whole, chickens are usually sold into tiny cuts and pieces. There are also skinless chicken parts sold on the market. Due to their relatively small size, Cornish hens are commonly cooked whole or cut in half. Chickens, by contrast, are either cut into smaller portions or cooked as a whole chicken.